The Sea of Azov plays host to the key Donbas ports of Mariupol and Berdiansk. Mariupol itself is indeed known across the world: Russian-backed forces seized it in bitter fighting in 2014, but later relinquished it. 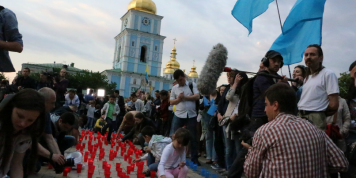 Mariupol has since become a symbol of Ukrainian resistance. 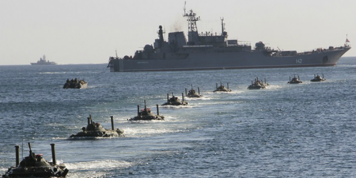 But Russia is now increasingly militarising the Sea of Azov in a series of moves that could have implications not only for maritime trade and supplies into Ukraine, but also for the ongoing land war in eastern Ukraine. The UN may soon need to take steps to stabilise the region. 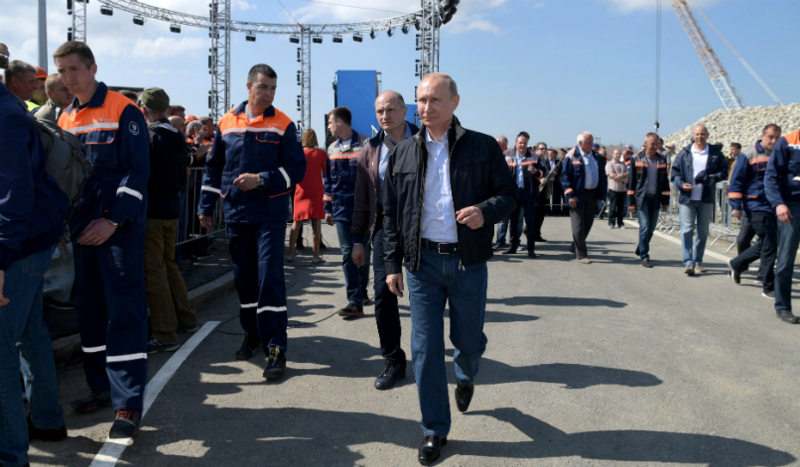 Russia began asserting itself in Azov in 2015 when it began the construction of a long-anticipated bridge across the Kerch Strait. The bridge stretches from Russia to sovereign Ukrainian territory (eastern Crimea), helping yet more arms, men, and equipment move into Crimea. But Russia also designed the bridge in such a way as to reduce the flow of north-south shipping into and out of Mariupol and Berdiansk. The Kerch bridge is just 33 metres in height, making it impossible for larger ships to pass fully loaded. The strait itself is narrow; even before this, vessels would often have to wait before proceeding through. Things began moving rapidly over the summer and early autumn. In May, Russian vessels in the Sea of Azov began stopping and delaying shipping, including both Ukrainian vessels and those with flags of third party states, imposing huge waiting costs on all vessels on their way to or from Ukrainian ports. On 17 September Ukraine decided to abrogate the general ‘Friendship Treaty’ that it signed with Russia in 1997. But this also leaves it potentially more exposed: the Friendship Treaty contained a promise for both sides to respect each other’s borders and territorial integrity – even if Russia has since broken this promise. The status of the sea is subject to several agreements and live legal claims. In 2003 Ukraine and Russia decided to treat Azov as the “historical internal waters” of both Ukraine and Russia, and to leave the waters undemarcated. Some Ukrainian nationalists are now calling for Ukraine to repudiate the 2003 agreement and make a claim over Azov coastal waters of 12 nautical miles under international maritime law. But this might cede the majority of the sea to Russia and leave Ukraine without access through the strait, as it is unlikely to be unable to enforce a 12-mile claim off Crimea. Ukraine also launched a general UNCLOS case (the UN Convention on the Law of the Sea) against Russia in 2016, that claims that Russia has interfered with Ukraine’s “rights as the coastal state in maritime zones adjacent to Crimea in the Black Sea, Sea of Azov, and Kerch Strait”. The 2003 agreement provides a right to conduct random inspections, but that was never supposed to lead to a general inspection regime, or be the preserve of one country only. Moreover, vessels sailing to or from Russian ports or Rostov-on-Don do not find themselves stopped. Time delays impose considerable financial costs. Turkish vessels are suffering particularly, but Romanian and Bulgarian and many other EU-flagged ships are also experiencing long and costly delays. Russia’s aim is to put off international business in the longer term. There is a political backdrop to this too: Petro Poroshenko is standing for re-election in March 2019 on a national security platform, and is taking a tougher line on Azov. Losing Mariupol to Russia again would be a severe blow to Ukrainian morale, at a time when populist opposition candidates, with media support from Russia, are backing a message of ‘peace’ and ‘compromise’ in the 2019 elections, including the later parliamentary elections in October. As well as ensuring freedom of movement, the mission’s tasks should include monitoring. It should also provide escorts for Ukrainian and other vessels, as well as receive the power to intercept and inspect vessels and to organise incident resolution meetings. A neutral third country with maritime capabilities, such as India, could lead the mission.